The Mark - Yaletown&apos;s tallest tower and downtown Vancouver&apos;s iconic architectural masterpiece. 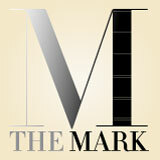 The Mark: An Iconic Architectural Masterpiece. Looks like you don't have the latest version of Flash Player! The Mark website requires Adobe Flash Player 10 or later. Please click on the icon below to quickly update your Browser. It will only take a moment! If you know you already have the latest Flash Player installed, Click Here to continue. Site by Marca Studio Inc.